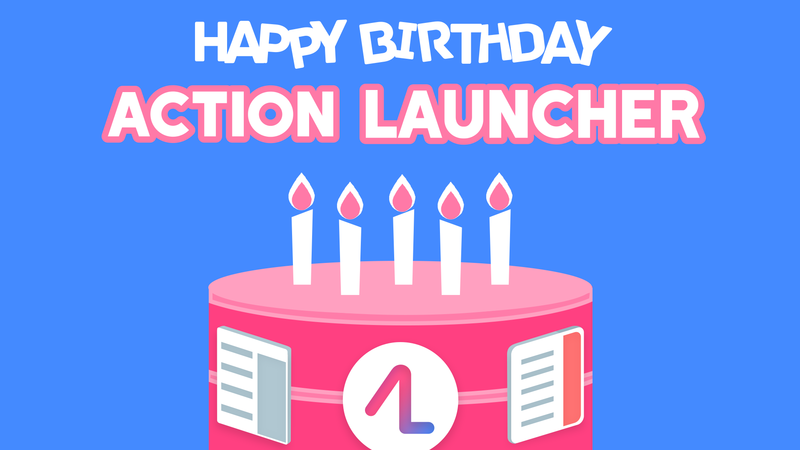 Today marks five years since Action Launcher first hit the Play Store. Those were the days of Jelly Bean, when 7-inch tablets roamed the Earth. A lot has changed since then, including the way Action Launcher upgrades work. The app hasn't seen any discounts since it switched to an in-app upgrade model in 2014, but today it's 30% off. The new version also has some small feature tweaks, and the Adaptive Pack for Action Launcher includes more icons. First, here's what you can expect in the latest version of Action Launcher. All new installs of the app will default to a Pixel Launcher 2 style appearance. Key features such as the dock search box and Oreo style app shortcuts no longer require the Plus upgrade. Action Launcher can access the device’s wallpaper for its Quicktheme feature. The recent focus on performance and bug fixes continues, with boot time optimizations and a bunch of key bug fixes. The new v32 update is light on new features, but it focuses on improving the performance and squashing bugs. It also opens up some more features to free users of the app. Along with this update, the $4.99 Plus upgrade is 30% off for three days ($3.49). You can get the new version on the Play Store or on APK Mirror. Adaptive Pack v3.0 is also rolling out today with 200 new icons available. There are now 950 icons with support for more than 3,400 apps. Adaptive Pack lets you choose an icon shape in Action Launcher for all your apps, but there's no sale on this one. It's still $4.99.